In what was called a historical moment by City of Delaware Fire Chief John Donahue, the Delaware County Pre-Hospital Care System Advisory Board of Directors met for the first time Thursday afternoon. Members of the new board include Donahue, Delaware County Administrator Michael Frommer, Delaware County Emergency Medical Services Chief Michael Schuiling, Concord Township Fire Chief Todd Cooper, Genoa Township Fire Chief Gary Honeycutt, Harlem Township Fire Chief Dale Fling, Liberty Township Fire Chief Thomas O’Brien, Orange Township Fire Chief Matthew Noble, and Delaware County Emergency Communications (911) Director Patrick Brandt. 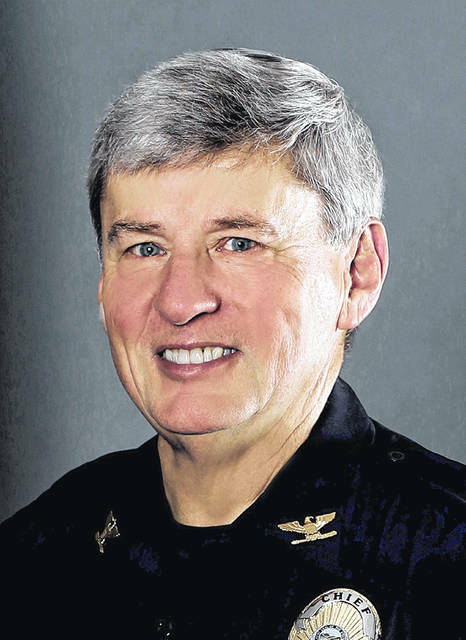 Based on the informal work of Donahue, Powell Police Chief Gary Vest, Schuiling, and O’Brien, the Delaware County Board of Commissioners approved the formation of the board Feb. 7 and appointed Frommer to head it. The board is charged to govern the protocols and standards for all emergency medical services (EMS) within the county. “I think it’s been long anticipated that this group would get together,” said Frommer. Vest was asked to share a brief history of the board. Vest pointed out, much like he did in his presentation to the commissioners in February, the county has changed since the 1970s when the .05 percent sales tax for an ambulance service was approved. He said if the current situation is not addressed, some politician outside of the group will tell them how to do their jobs. Vest told them he got involved during the uproar over the Liberty Township Board of Trustees’ attempt to have the county take over its fire-based EMS. He said he went to a meeting, but since getting nowhere with the politicians, he went in a different direction. Frommer said he likes the way the county 911 board functions with the experts input, dialogue, and the camaraderie and wanted to lean in that direction as well with the new board. However, he said since the approval of the formation there hasn’t been much done because he wanted input on the structure of the board itself before moving forward. Schuiling said at the end of the day, we all do the same jobs and we took the same oath to do the best we possibly can. Before the group adjourned, Commissioner Barb Lewis could be seen with both her thumbs up and smiling that the board is now underway, because she has been pushing for a similar board ever since she was a Genoa Township trustee. The only action taken by the new board Thursday was figuring out future meeting dates. This entry was tagged and Delaware County Emergency Communications (9-1-1) Director Patrick Brandt, Concord Township Fire Chief Todd Cooper, D. Anthony Botkin, Delaware County Administrator Michael Frommer, Delaware County Emergency Medical Services Chief Michael Schuiling, Donahue, Genoa Township Fire Chief Gary Honeycutt, Harlem Township Fire Chief Dale Fling, Liberty Township Fire Chief Thomas O’Brien, OrangeTownship Fire Chief Matthew Noble, Pre-Hospitalization Care System Advisory Board. Bookmark the permalink.